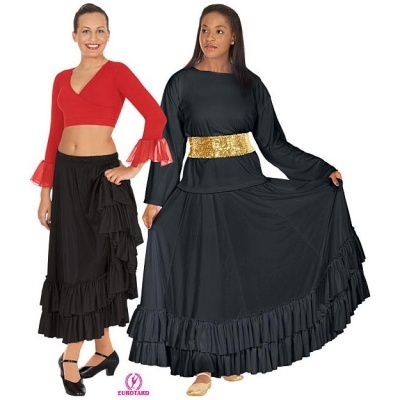 Polyester double ruffle skirt with adjustable elastic drawstring waste. 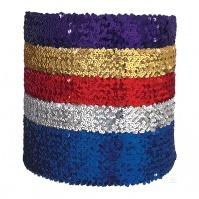 Shown with Eurotard 4" Wide Sequin Belt (SKU #13744). 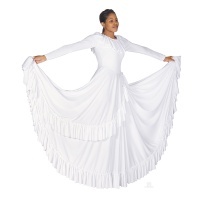 Adult Small (34" Length), Medium (36" Length), Large (38" Length), and X-Large (40" Length). Child Medium (30" Length) and Large (32" Length).